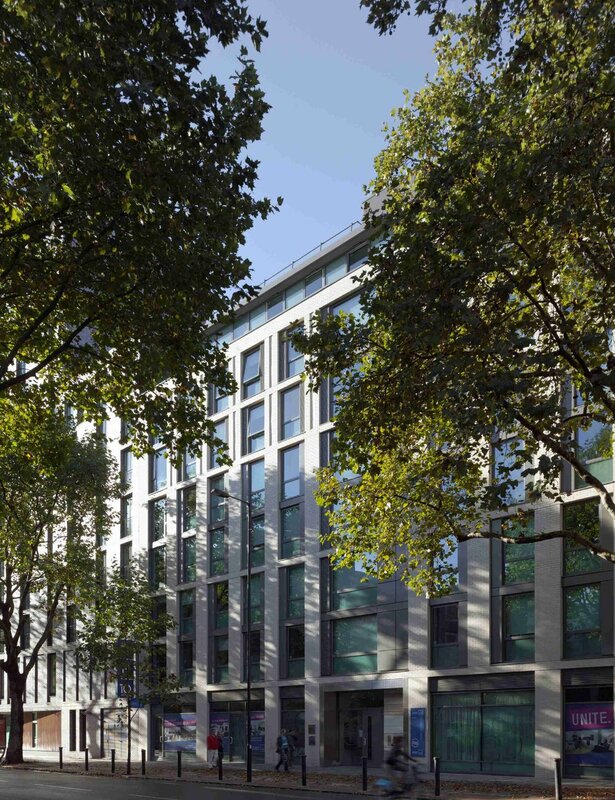 Wellington Lodge is a 146 unit student accommodation building on Waterloo Road Southwark for Unite Students, the largest student accommodation provider in the UK. 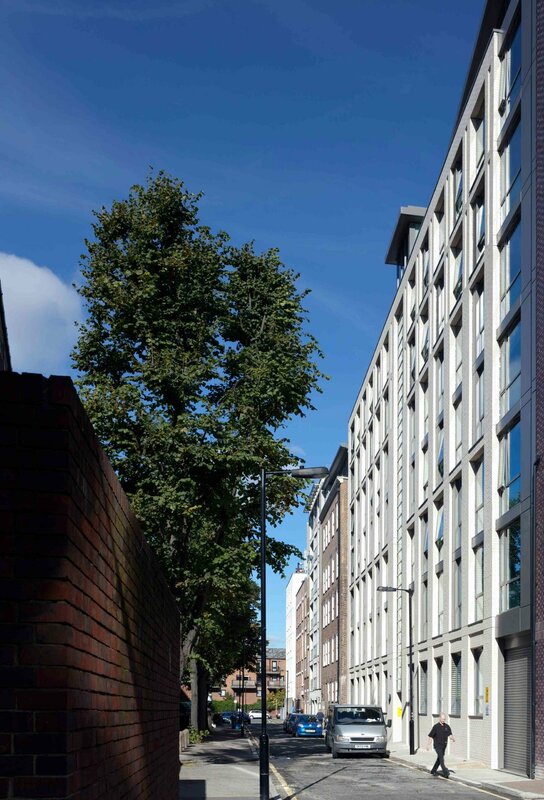 Consent for the proposal was achieved within only nine months of HKR’s appointment and the well proportioned building reflects a "real understanding for the fine urban grain and brick character of this part of Southwark." The project employed off site modular construction and a dramatically streamlined delivery programme, with ensuite bedrooms being factory constructed under controlled conditions and craned into position over an eight week work period. The facade was then refined and clad in high quality brick slips. Facilities include Ensuite Student Rooms with dedicated reception, communal kitchens, common room, study areas, laundry and shared roof terrace with panoramic views over south London.